The Riverside Hawks Basketball Program will host its Annual Free Throw Shoot-A-Thon Fundraiser on Saturday, December 9th at Riverside Church, Main Gym. 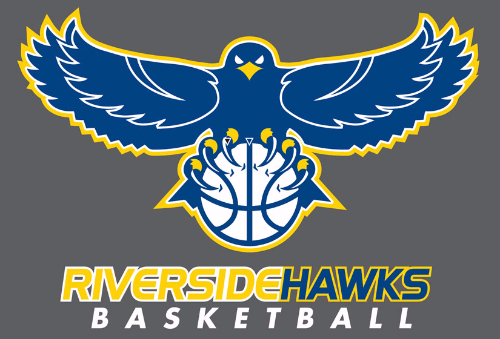 Founded in 1961, the Riverside Hawks is a non-profit youth basketball and education program based in Harlem, NY. The program promotes athletic achievement, educational excellence and character development for New York City youth. Today, we serve more than 300 student-athletes from diverse backgrounds using competitive basketball to teach life lessons and achieve academic goals. Thanks for giving me such a chance. You can make it all. Good luck to you. Aunt Iris loves you AJ. Keep it up!! to Ahmad "AJ" Mickens, Jr. I'd like to see a shoot-off with dad!! Good luck with your basketball season, Alex! Hope was a great day! Congratulations to Caden and the entire team! This is a donation solicited by Davyn de Jongh. That boy Dav got GAME!!!! Think about $1 per shot when you are hitting those free throws. You can do it!!!! We love you, Sean! Do your thing! Hooray for the Riverside Hawks! Kyra mommy and daddy are very proud of you. Stay Focused, Asa! It's all in the wrist! Go Davyn! You can do it! Go Davyn & Riverside Hawks! Eat...Sleep...Basketball! 💙 🏀 🥇🏆 I'm watching you big brother! Keep up the excellence fam! Love you lots!! Alex you are so good, $1 a shot I may go broke!!! Haha! All day little brother. They cant guard you! Keep up the great work Jamir!! We know you got this cara!! I'm so proud of you Justin! Keep up the good work. I hope this helps you reach your goa. Good Luck! The Aunties, Uncle Harold& Gma. You got this, show'em what you got!!! Hope this will get you over the top. No one cares about these programs more than Ben's father.....great friend and teammate...goo dluck reaching your goals. I love you Brandon. We in Georgia are very proud of you. Niko, you got this all day!!! Love you! Go hard or Go home! Basketball is life...Lets get it!! Good Luck Team! Wish I could be there. Good Luck Lando!!!! !😘 Love Mommy!! To the rim Niko, Swish!!!! AJ you got this boy !!!!! Love u kiddo. Go Niko!! Shades of Larry Bird. Nothing but net. Go Calder! Go Nico keep doing your very best and striving for your goals we're very proud of you. From Ja & Bailey! Aj you got this in the bag kid!!!! Let’s go Niko, you got this!!!! I know you can make 50. Love you. Good Luck, Max. We're rooting for you!!! Justin, bend your knees and aim straight...you got this! Let’s Go Austin and Riverside Hawks! For my Pumkink, Wumpkin You are da best. Momma loves you. Good luck Ryder! Make those free throws! Justin try your best and you will do great!! Most importantly have fun!!! I love my godson he’s the best!!! Niko, I think you're going to shoot 40 out of 50. Love watching you work Vaun. We're proud of you. Go Lucas!!! Good luck. We love you! Best wishes to you and the team ! Wishing you and your team great success! You eat those!!! Lets gooooo Jamir!!! Keep up the hard work. Ball out!!! The world is yours son! I know you can make 50! Go Jordan! We know you got this! Go kevin!!! You got this. Go Cara!!! Keep killing it!! Niko Tita is very proud of you! She sends you all her love, hugs and mucho besitos! A pledge in loving memory of Dav's grandparents! Hard work beats talent when talent fails to work hard! Have FUN! Good luck Ben! Work on dribbling with the left hand. I love you! Knock them down Buddy. Love You. I pledge $1.00 per shot made. I love you do well Geo. Go Ben - Nothing But Net!!! Hope you have a great time Ben! Good luck this year, Devon and enjoy! Make all your shots Ben!!!! Go Austin! Grandma is rooting for you to make them all. Let's see what ya got Ben!! 50 cents a basket from Leslie Wilson. Go Dev! Would love for my grandson's team to win. Sine I live in California and won't attend his games. Let's go E!! You got this! Wish you much success! Go team go! Good luck to Devon and his team! Go Nick! nothin' but net! Anything for you young king! Keep on shining!!! TOOOOOOOTHPASTE! That’s Whasssssssssssup Crew! Good luck Drew!! Sink those free throws! Good luck Devin! We love you! Make your shots big bro!!!! Go AJ, make your shots!!! Go Hudson!!! Make your shots!! Make your shots li'l bro!! Go Ryder!! Make your shots!! Make your shots li'l bro!!! Let's go get it "Get Down"!!!! Go Ryder!!! Make your shots! Go Jack Bailey - the best foul shooter at the Nationals!! Good luck this season Chance !!! Good luck!!! Don’t try too hard!!! You can do it My Grandson GO CHANCE!!!! Go Kenny! Mr. Chow is routing for you! So proud of you Jahli!!! So proud of you and your team! Go Hawks! If it’s a FREE throw, why we gotta pay? I expect you to make them all! Go Kert! Go Riverside Hawks!!! Good Luck Kert and channel Rick Barry for best results. I hope you make all 50 shots, Kert! Bravo! Keep up the good work. I will mail a check to your parents. But I need to know how to make it out. I bet you will make them all!